Teja Dashmi is observed by the Jat community and is celebrated mainly in Rajasthan and Haryana. Teja Dashami 2019 date is September 8. It is dedicated to a local deity named Tejaji. The festival of Teja Dasami is annually observed on the 10th day of the Shukla Paksha or waxing phase of moon in Bhadrapad month as per traditional Hindu lunar calendar followed in North India. 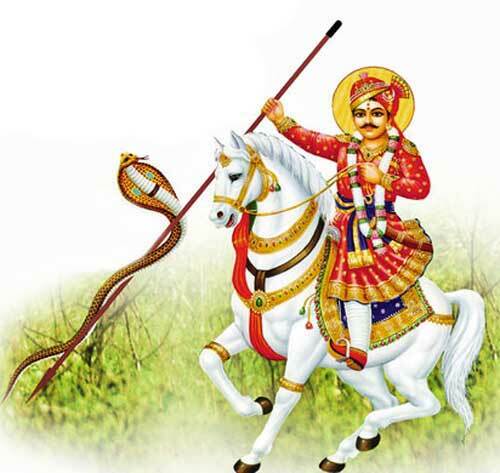 The popular belief is that Tejaji used to rescue people from snake bites. He is worshipped by people to escape from deadly snake bites. People also pray to the deity for the speedy recovery of people who had been bitten by poisonous snakes. Fairs are held in temple towns that have temples dedicated to Tejaji.